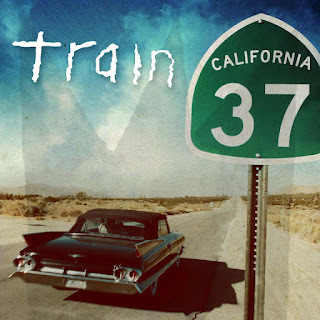 Earlier this year, I found out that the band Train would play six back to back shows in San Francisco, to promote the release of their latest album California 37. April 12th could not come soon enough! 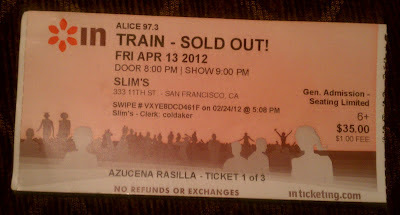 And so, on that Friday night, at exactly 10:29PM, Train came on stage at Slim’s to the delight of the audience. And of course, I was one rowdy groupie singing along to each song, from their '90s hits to songs from their new album- one of my absolute favorites is the song "Drive By". There was so much excitement at the venue, the love from the fans was undeniable – the band was also joined on stage by Patrick Jr. and Charlie, Train’s original bass player. 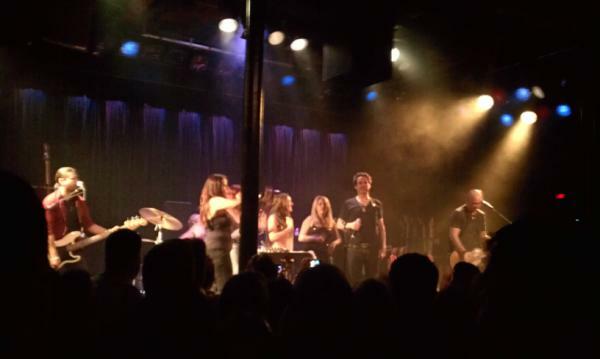 At one point during the show, Patrick, the lead singer, brought fans on stage to belt out their best rendition of Journey’s classic "Don’t Stop Believin'". At the end, a lucky fan received a guitar gifted by the band. The lucky fan had been standing outside the venue hours before the doors even opened. The band performed classics like "Meet Virginia", "Calling All Angels" and of course, a lot of songs from the new album. 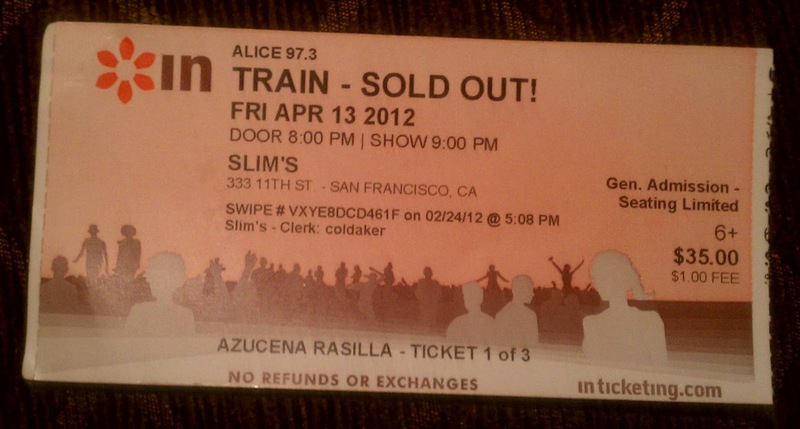 Train’s final encore was "Drops Of Jupiter". I was in music heaven, to have seen Train’s live performance at such an intimate venue and been able to listen to Patrick recount anecdotes about the band’s experiences was simply priceless. Their new album, California 37 is available now via iTunes, Amazon and your local stores, the entire album is phenomenal, so I definitely recommend it.